Please note this production is taking place at the Edinburgh Festival Fringe. This performance is taking place at Pleasance Two in Pleasance Courtyard at the Edinburgh Festival Fringe. For full access information please visit the Access page of Pleasance's website here. It’s 1975. In Leeds, the Millgarth Incident Room is the epicentre of the biggest manhunt in British police history. 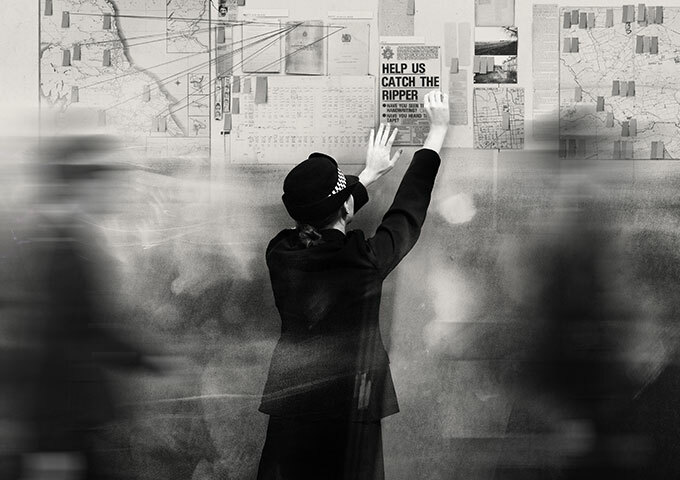 We follow Sergeant Megan Winterburn as she joins hundreds of officers working around the clock to find the man known as the Yorkshire Ripper. With public pressure mounting, the investigation resorts to increasingly audacious attempts to catch one of Britain’s most notorious serial killers. Following our award-winning productions of Secret Life of Humans and Down & Out in Paris and London, we go behind the scenes and investigate the case that broke the British police force. The Incident Room is directed by New Diorama Theatre's Artistic Director, David Byrne, and is written by Olivia Hirst and David Byrne. It is co-production with The Pleasance and Greenwich Theatre, and is supported by Arts Council England. New Diorama Theatre is a pioneering venue in the heart of London dedicated to providing a home for theatre ensembles, both emerging and established, from across the UK. Named Best Off-West End Theatre at the 2017/18 Stage Awards, New Diorama also won the main Peter Brook Empty Space Award in 2017. They recently won the Innovation Award at The Stage Awards 2019 for their Artist Development Programme and new Programming Model. Their Artistic Director, David Byrne, is currently number 33 on The Stage's 100 Most Influential People in UK Theatre.